One of the biggest challenges we face when it comes to building a brand online is the simple fact that there are only 24 hours in a day. That is why many have chosen to use apps to build brand visibility. Although we all know that Benjamin Franklin, Albert Einstein, and even Oprah had those same 24 hours when they began building bodies of work that would gain them massive “brand” recognition in the long run, up-and-coming change-makers of the 21st century have to move faster to keep up with the pace of the market. If you want to scale your value and make a big impact today, you have to use some shortcuts to stand out online, so that you can spend most of your time and attention actually building an audience-worthy digital brand. Want to share social accounts with anyone the same way you use emojis? Gel is an iOS keyboard that allows you to share your social accounts (Facebook, Twitter, Instagram, Snapchat, etc.) the same way you’d send your friend a stellar emoji text. This makes it a great tool for building a base of fans/followers from your real life connections. You definitely know people who are interested in your brand message because they genuinely find it valuable (not just because they find you valuable; though, we still appreciate the follow Uncle Mike). And we’re willing to bet you’re close enough with at least 10 of those people to connect with them via text about your brand-building goals. Gel makes this process seamless. In fact, the following strategy can help you increase your audience by 100+ people in just a couple of days. When they respond with interest, ask them about their biggest frustrations related to your topic — you now know exactly what your audience wants from you. Ask them to like/follow you. And when you create or share content that relates to a specific person’s frustration, shoot them another text telling them to check it out. Repeat these steps and watch your real life connections turn into an ever-expanding network of engaged brand-enthusiasts. You can post your content front and center when your audience is scrolling! 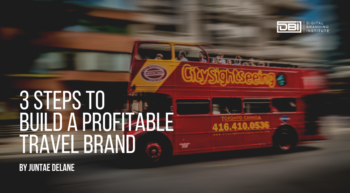 Building a visible brand, at its core, is about making sure your stuff gets seen. And one way to ensure maximum eyeballs on your digital content is to post when your audience is focused on the digital world. Prime for Instagram (iOS) features an algorithm that suggests the best times to post based on when your followers are online. Using this tool can help you increase post engagement because more people will heart-up your awesome photos and comment below your snappy captions. Since intentional Instagramming is all about starting conversations and building loyal communities inspired by your brand’s visual identity, Prime’s in-app scheduling feature is a must-use. Here’s why: when you schedule images and copy ahead of time, Prime will send you a notification when it’s time to post. Since you’ve already used Prime’s algorithm to schedule your stuff when your followers are scrolling their feeds, you’ll be more likely to get comments right away. You conversation starter, you. 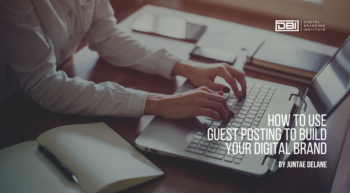 What’s more, a structured post schedule allows you to make yourself available for responding to comments in the first 5-10 minutes after posting. This real-time interaction with your audience is essential to building an unshakeably loyal community of followers. You only need seconds to create on-brand social posts with this app! Adobe Spark Post is an iOS app that makes it easy for anyone to create stylized posts for every platform. You can add text and edit photos, plus incorporate font and color themes for increased brand recognition. All you need is an idea and Spark Post will take care of the rest. The way this app helps you create stunning social posts and graphics is pure magic. 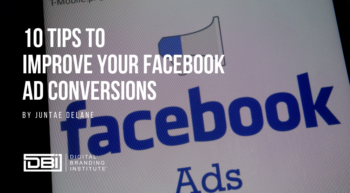 You’ll see how practically mindless it becomes to remix, resize, and transform your social feed with eye-catching stuff that serves your audience. Get started by coming up with just one content theme you’d like to share on multiple channels. For example, maybe every Monday you want to share a quote about mindfulness with a nature-themed background image. Just search the Spark Post’s free photo library, select a photo, pick a theme, type your text, save perfectly-resized version for every platform and post away. You probably have some major brand-building to get back to, so start downloading! If you decide to use any of these apps to build brand visibility, share your experience in the comments below. For those of you who are already actively improving your digital brand visibility, which trusted tools and resources do you recommend? AnnMarie is a value-driven content creator & brand impact consultant. She helps entrepreneurial thought-leaders & visionary small businesses scale their brand message with repurposed content, platform optimization & influencer connections.